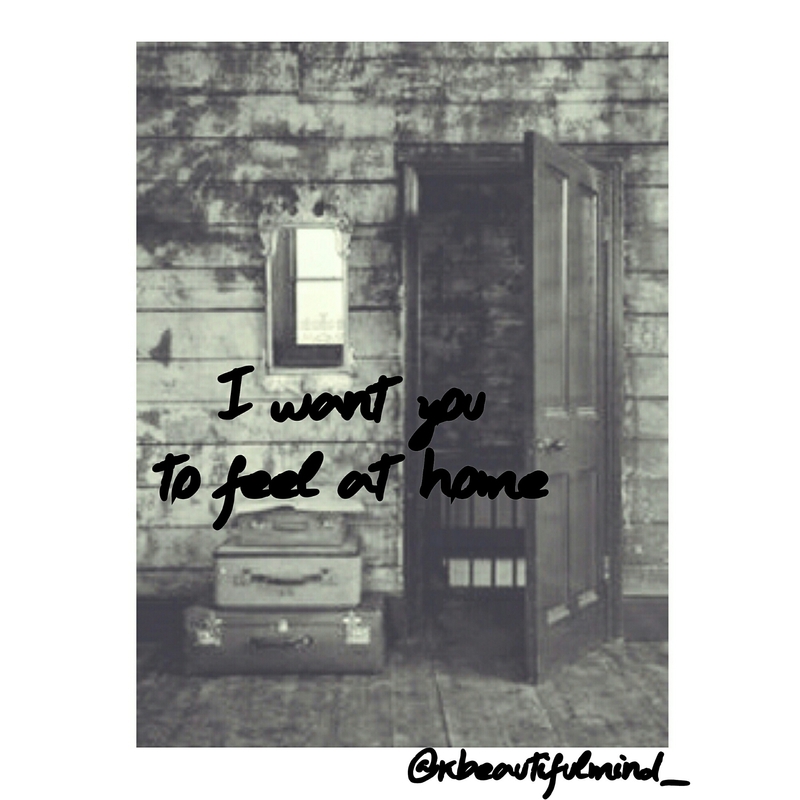 I want you to feel at home. I want the next time you wake up next to me, to know that by my side is where you want to be. I want you to make yourself at home; in my soul, my heart, and in between my thighs. So go ahead and take off your shoes, leave them at the door. Un pack your bags, you won’t need your luggage anymore. Lock the door and throw away the key, open up yourself and stay with me. Let me love you, and take care of you like you very well deserve. I want to take away your fears and erase your past. Show you how much better, your future looks if you take my hand. All I want is for you to feel at home.